Going backstage and learning tips and tricks from the professionals may be an adventure, but sometimes, the best tricks come from real girls. In “Beauty and the Real Girl,” we learn the best beauty tips, tricks and secrets from girls just like us. Wine lipstick is striking and daring, but if you’re weary of drying out your lips with a matte formula or if you’re not quite ready to jump into the lipstick game yet, a lip pencil may be the solution. We’re not talking a lip liner, but a pencil that’s meant to cover your entire lip with color. Meghan Blalock, an associate editor at StyleCaster.com, swears by her BITE Beauty Lip Pencil for smooth, hydrating color. 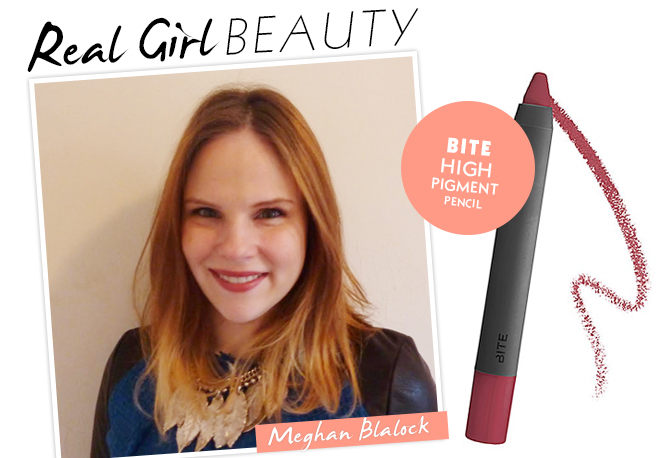 Below, Meghan explains what exactly is so great about the BITE pencil.